Against All Will is a band based in around Los Angeles in USA with a pretty heavy and edgy rock sound as you can hear. 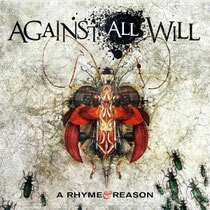 The current line-up was formed in 2009 and then released the EP "A Rhyme & Reason". The videos of 3 songs "Swept Away", "The Drug I Need" and "All About You" from the EP has been already published. You can see them at their website and every official network pages. 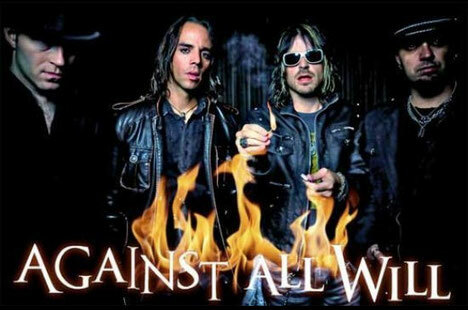 Against All Will's songs have been airplaying on many radio stations in US. Last year, they appeared and played "All About You" acoustic version in a live at The Fox radio station. That is something and an amazing performance! The members are Steve Wilson (Drums), Jeff Current (Vocals), Jimmy Allen (Guitars), and Cell Dias (Bass) from the left in the pic above.